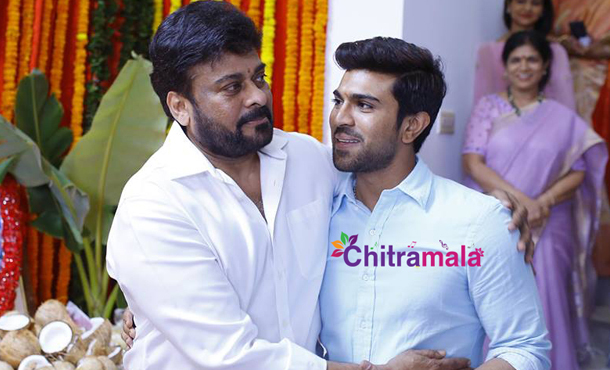 The much awaited 150th film of Mega Star Chiranjeevi has been launched today in a cozy ceremony. Everyone from film industry poured in wishes as megastar Chiranjeevi, who played a key role in putting Tollywood on the map of world cinema, is making his comeback to the silver screen in a full-fledged role. Interestingly, Pawan Kalyan didn’t attend the launch ceremony. Directed by VV Vinayak, the action entertainer has Cinematography by Rathnavelu and Music by Devi Sri Prasad. Regular shooting will commence from June. The heroine for this film is not finalized yet. The film is tentatively slated for release for Pongal, 2017.